Texas native Codie O'Connor created this cheery hand-painted print, inspired by Indonesian surf culture. OK, it's steep for a mug — but think about how cute your morning coffee will look in this piece from Brooklyn-based Recreation Center. Made from leftover Guatemalan textiles, this neutral pillow channels chic minimalist vibes — with a feel-good ethos. 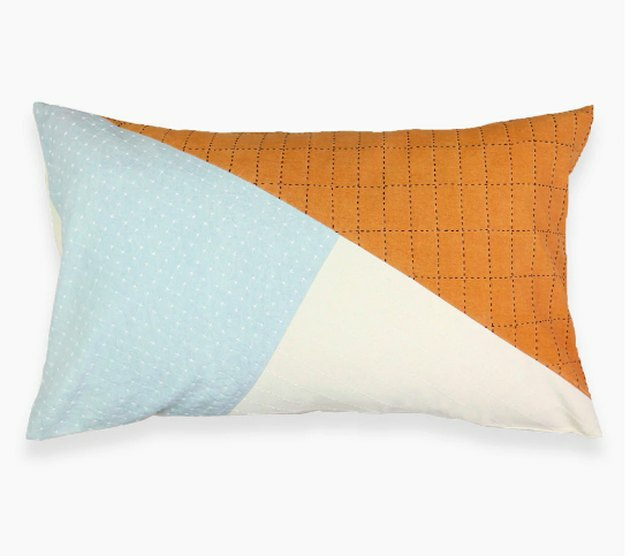 While lumbar pillows can make sleep easier, let's be real: most are downright ugly. Madewell discovered Anchal, founded by sisters Colleen and Maggie Clines, whose pillows are handmade by Ajmer seamstresses in India. This set of four hand towels is both versatile and attractive — and, you have the added bonus of knowing that you saved leftover fabric from ending up in a landfill. This ready-to-frame print by Nashville-based illustrator Emily Miller has a retro vibe with a pop of color. This minimal wall planter works both indoors and out. This quaint bud vase is like something you might have found in your grandma's house — and that's exactly what Austin ceramicist Samantha Heligman was aiming for. It's spring, go ahead and treat yourself to a bloom or two! Madewell's cute candles come in three scents — sea salt and neroli, fern moss, and rosewood cassis — and the ceramic vessel can be repurposed as a succulent planter. 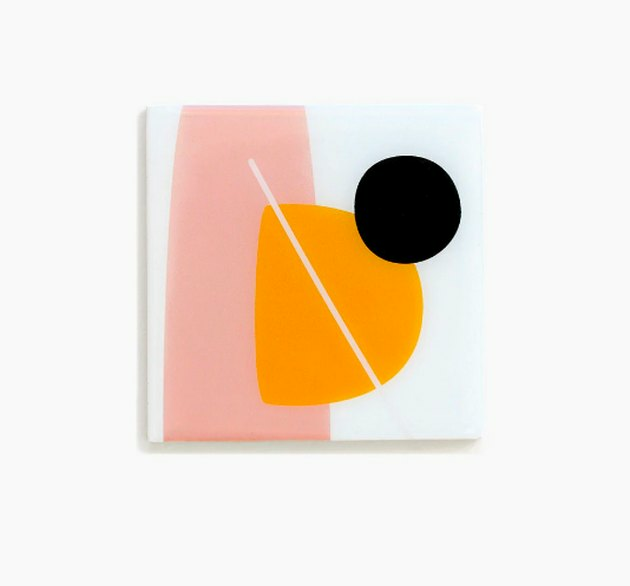 SF-based Esselle boasts an all-female team that creates cute gifts and accessories — like this modern resin coaster.